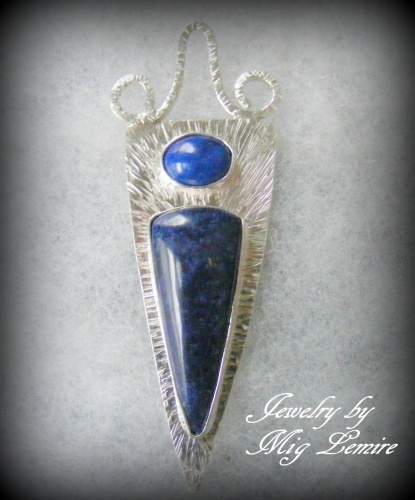 This gorgeous Lapis Lazuli gemstone is one of my newer pieces. Soldered on sterling silver with a hammered backplate to bring all attention to the lapis. Piece measures 2 1/4" long and 1" wide and comes with a sterling silver chain.